R’ is a zombie. He has no name, no memories and no pulse, but he has dreams. He is a little different from his fellow Dead. Amongst the ruins of an abandoned city, R meets a girl. Her name is Julie and she is the opposite of everything he knows – warm and bright and very much alive, she is a blast of colour in a dreary grey landscape. For reasons he can’t understand, R chooses to save Julie instead of eating her, and a tense yet strangely tender relationship begins. This has never happened before. It breaks the rules and defies logic, but R is no longer content with life in the grave. He wants to breathe again, he wants to live, and Julie wants to help him. But their grim, rotting world won’t be changed without a fight. Zombies… dead, right? Using a zombie to explore what it means to be human, what it means to live shouldn’t work, but it totally does! I found myself rooting for R, not caring that he is a zombie and has killed people. I don’t care that Julie is a human. I don’t care that a zombie and a human does not a compatible relationship make. I found myself forgetting that I was reading the thoughts of a zombie, as not only are R’s thoughts eloquent and beautiful, but at points also made me laugh too. Who would have thought a romance between a dead guy and a girl could bring on the happy feelings?! This is a poignant story exploring what it means to live. 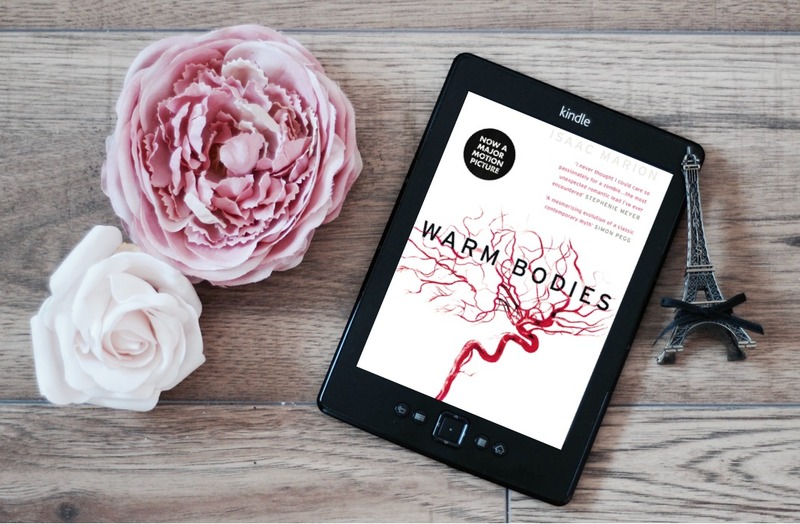 Warm Bodies really made me think… If we accept the way things are and don’t strive for more in life, will we ever know what it truly means to be alive?